Mark-Paul Gosselaar is an American actor. He is known for playing Zach Morris on the television series, Saved by the Bell. Mark-Paul’s father, Hans Gosselaar, is of half Dutch Jewish and half German descent (it is not clear whether Mark-Paul’s German ancestors were Jewish, too). 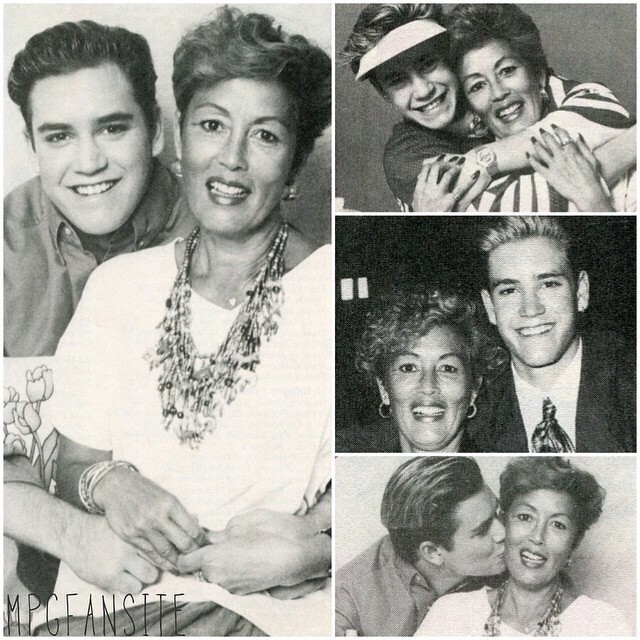 Mark-Paul’s mother, Paula, who is originally from Bali, Indonesia, is of Dutch and Indonesian (Asian) background. Her maiden surname, van den Brink, is Dutch. Mark-Paul has mentioned that he was at one time fluent in Dutch, as a child (his three older siblings were born in The Netherlands). 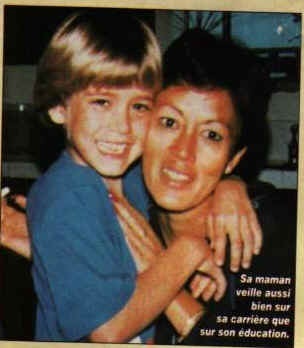 Pictures of Mark-Paul with his mother can be seen here and here. Mark-Paul has two children with his wife, advertising executive Catriona McGinn, and two children with his former wife, model Lisa Ann Russell. Mark-Paul’s patrilineal ancestry can be traced back to his four times great-grandfather, Jacob Nathan Gosselaar, who was born, c. 1733, in Rotterdam, and to his own parents, Nathan Jacob Godslaars/Gosselen/Gosselaar and Betje/Blommetje Israel Machiel/Livirden. Mark-Paul’s paternal grandfather was Aron “Arie” Gosselaar (the son of Hartog “Herman” Gosselaar and Hester van Emden). Aron was a Dutch Jew, and was born in The Hague, in The Netherlands. Aron’s parents both came from old Dutch Jewish families, with traceable genealogy in The Netherlands going back to the 1700s (he also had more distant German Jewish, Danish Jewish, and Polish Jewish ancestry). Hartog was the son of Nathan Gosselaar and Vrouwtje Hijman de Jong. Hester was the daughter of Clara van Emden. Mark-Paul’s paternal great-grandparents Hartog and Hester both died in The Holocaust. They were killed in the Sobibor extermination camp, in Nazi-occupied Poland, on April 9, 1943. Mark-Paul’s paternal grandmother was Ida Ferdinande/Ferdinanda “Itty” Kosel/Kossel (the daughter of Johann Kosel and Maria Theodore Elisabeth Söte). Ida was German, and was born in Paderborn, Detmold, North Rhine-Westphalia, Germany. It is not clear if Ida was Jewish or not. I think people are becoming too pre-occupied with instructing exactly how that line should be written out. And in this case in particular, there’s enough ambiguity about most of his family tree (specifically his paternal grandmother’s and his mother’s) that I don’t think it should be split. I just figured it should be split since his mother is part Indonesian and his father is not. another proof that I’m right about asians !! This mofo is white, never once did I think he looked Asian. AND TRUST ME, I can usually tell when someone has Asian admixture. No. I think ethnic changed the article creator to my name (that can be done). Doesn’t look part Asian, at all.